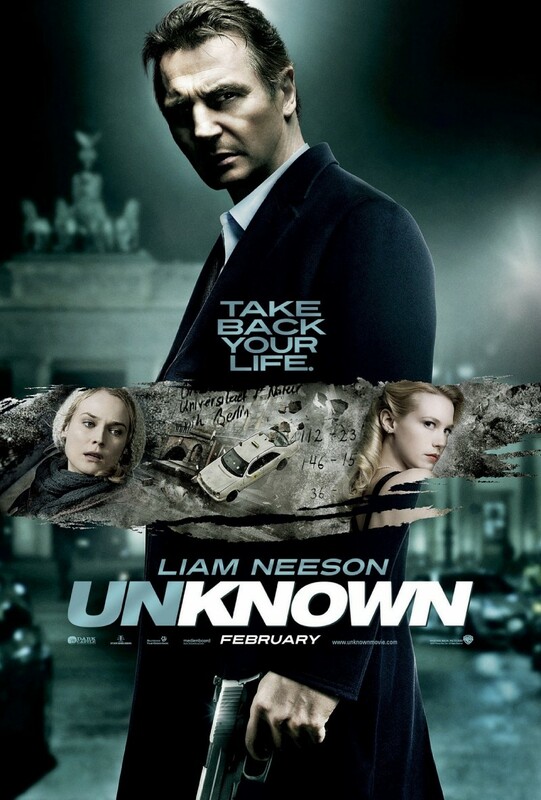 Unknown DVD and Blu-ray release date was set for June 21, 2011. Dr. Martin Harris, an American bio-chemist, and his wife arrive in Germany for a conference. Martin, who has lost his briefcase, decides to take a cab back to the airport. In an unfortunate turn of events, the cab crashes, seriously injuring Martin. After being in a coma for four days, he wakes up to find that his identity has been completely erased. He has no identification on him, his wife does not recognize him, and there is another man claiming to be Dr. Martin Harris. With the help of the taxi driver who saved his life in the accident, Martin sets out to solve the mystery. Will he be able to take his identity back or will the truth make him question everything he thinks he knows about himself?